One of every three American adults suffers from hypertension, commonly called high blood pressure. Hypertension can be serious or even deadly, so it’s vital that sufferers have an experienced and dependable cardiology team to help them stay healthy. 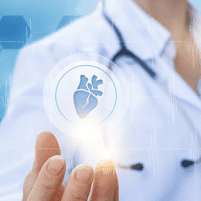 Healing Hearts Clinic, with three convenient locations in Conroe, The Woodlands, and Huntsville, Texas, is a state-of-the-art cardiology clinic staffed by highly experienced specialists. Use the online booking tool to schedule your appointment, or call the Healing Hearts Clinic office today. Your blood pressure reading can tell you whether you have normal, borderline high, or high blood pressure (hypertension). Your systolic pressure, the first number, is artery pressure when your heart contracts. Your diastolic pressure, the second number, is the artery pressure between heartbeats. Normal blood pressure is optimal, and slightly low blood pressure is rarely a serious medical issue. In general, better low than high when it comes to blood pressure. Elevated blood pressure, if consistent, is cause for concern. It’s a sign that you may need to make some lifestyle changes, and possibly undergo medical treatment, to lower your blood pressure to normal range. If you have either stage 1 or stage 2 hypertension, it’s important that you work with a cardiologist to monitor and improve your heart health. Taking action now to get your hypertension under control could save your life. Your Healing Hearts Clinic cardiologist diagnoses hypertension after verifying your readings on at least three visits. Hypertension treatment may include several components, but it usually involves lifestyle adjustments. Your Healing Hearts Clinic cardiologist may recommend dietary changes, weight loss, and increased exercise, possibly in combination with other treatments. If you need medication to control your hypertension, your cardiologist may prescribe diuretics, angiotensin-converting enzyme (ACE) inhibitors, angiotensin II receptor blockers, or calcium channel blockers. If those medications don’t help, your cardiologist may prescribe alpha blockers, beta blockers, alpha-beta blockers, aldosterone agonists, renin inhibitors, vasodilators, or central-acting medications. Rarely, some hypertension sufferers don’t respond well to any drug combination. In this case, your cardiologist may identify another health problem that’s causing the resistant hypertension. Treating the underlying condition may return your blood pressure to normal levels. If you’re concerned about high blood pressure, book an appointment with Healing Hearts Clinic online or by phone today.